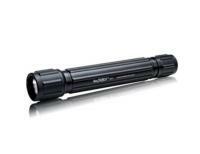 Our xenon flashlight collection offers unparalleled light quality in a huge variety of products. Xenon, which is a chemical element, is a strong source of artificial light that is often used in night-vision systems. A xenon flashlight not only produces bright illumination, but has running times between four and five hours, which decrease the need for battery change. Our Xenon flashlight collection offers conventional flashlights, tactical streamlights and rechargeable lanterns. Each xenon flashlight we sell, like all our products, is backed by a 30-day 100% money-back guarantee, so you can buy with confidence. The light was a Christmas gift for my 15 year old grandson. He was absolutely delighted with it. I was impressed with the performance from such a small instrument and the high quality of workmanship. Not cheap, but worth the price! This is a great product for backpacking. 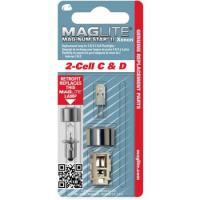 The light is very bright (about 90 lumens), plus the leds are great for in tent use. The holster is good quality, with storage for the included lens and an extra set of batteries which seem to last a decent amount of time as rated or better. 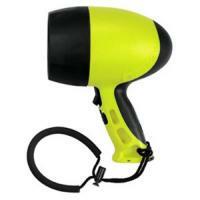 It is a great light, very bright, about 90 lumens. Plus the two small led are great in the tent for reading with the built in tripod. The angle head is great for backpacking, just attach to your harness via the strong clip. I highly recommend this light! It is an excellent light! It is very bright with the xenon, about 90 lumens and good burn time also. The two LED are great for in tent reading and map reading on the trail! The tripod works well also and the light is water proof to boot! The angled head is great for backpacking, just attach to harness with the high quality clip. Also it comes with top quality holster that carries the included extra lens. It has two extra sleeves for a spare set of 123cr lithium batteries it uses. I strongly recommend this product! I bought this light instead of a surefire for cost reasons and could not be happier I did. Not only is the humvee as bright as the surefire, its features are better and the duel switch for the LED lights are awesome! It,s extremely well made and waterproof. The batteries seem to last a good length of time. The extra lens work great for preserving night vision! 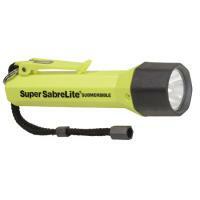 It is a great little light and the built in tripod is good for map reading and tent use. I highly recommend this light to anyone looking for a bright reliable angle head light for backpacking and hiking. It is a true five star product! i highly recomed this product, it is rugged and so far quite durable, and best of all waterproof,i just happened to drop it overboard my air boat in the everglades, the beam was so bright it could be seen on the bottom in about 4-5 feet of murky swamp water. highly recomend it. Packs a wallop for a little guy!